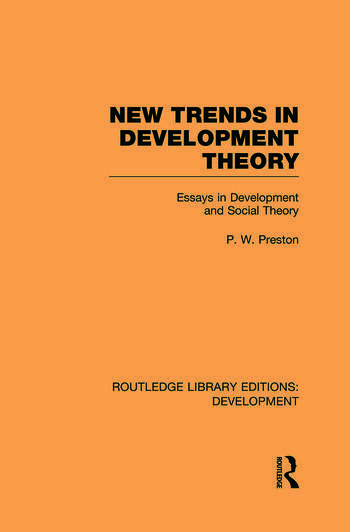 The theme of this work, first published in 1985, is the exchange between issues of development and problems of social theory. They provide preliminary analysis of the multiplicity of social-theoretic arguments in development theory and their implications for social theory in general. The book will be of interest to all those interested in the contemporary ‘restructuring’ of social theory and to theorists of development who are rethinking their concerns in a period of pessimism and doubt.